Kids can learn something new at the RMG! At the RMG, learning never stops! With school winding down, it’s time to start thinking about how to keep young minds at home staying sharp! Fret not, the RMG has you and those sharp minds covered. With tons of art classes and camps, the toughest choice you’ll have is which ones to enroll your kids in! Our Summer Camps will be the highlight of any kid’s summer, straying from traditional camp activities to explore creativity and give kids a great opportunity to indulge in a new level of arts and crafts! Here’s what we’ve got in store this Summer! Are you looking to keep your tiny ones busy for a little bit, out of the house? Check out our Mini Summer Art Camp for Tots! For ages 2-4, running from August 2-5, from 9:30am to 10:30am Indulge your tiny tot’s creativity at the RMG, and who knows, you might end up raising the next Picasso! There’s only one way to find out! With many parents still at work while their kids are enjoying summer break, the RMG has already thought up a way to keep your kids busy, creative and having a blast while you work! 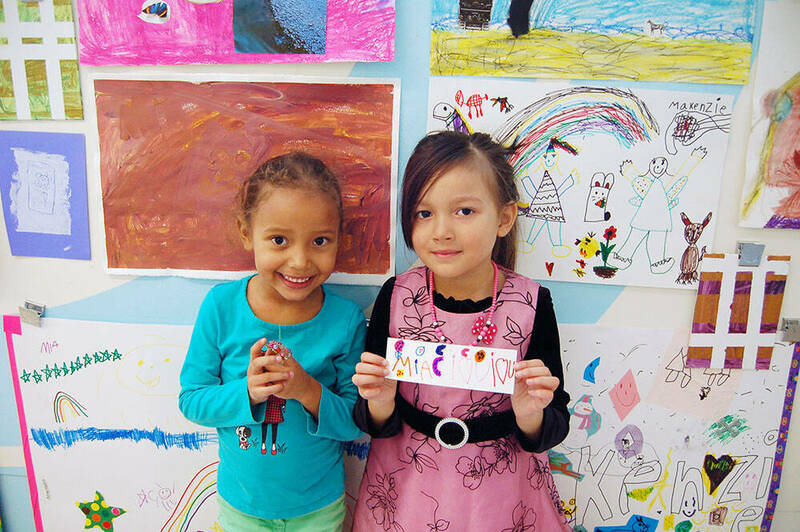 Summer Art Camp for ages 5-10 is the perfect place for kids to have fun this summer. There are plenty of options to accommodate parent’s busy schedules, with half days (9am to 12:30pm or 1pm to 4:30pm) and full days (9am to 4:30pm), parents can customize their kids day, depending on their schedule. For parents who need a little extra time before and after camp, we also offer pre- and post-camp options, where we will gladly keep your kids entertained from 8am to 9am and from 4:30pm to 5:30pm. There are five different camps, four days long, with themes ranging from Play All day to Mixed Media Mayhem. There’s something for every kid to enjoy! When the kids get a day off school, you won’t have to worry about what to do with them this spring! The RMG has P.A. Day camps for kids aged 5-10, that run from 9am to 4pm. The camps coincide with all Durham District School Board (DDSB) and Durham Catholic District School Board (DCDSB) P.A. Days (April 8 DDSB, April 15 DCDSB, June 3 DDSB) and encourage creative learning and activities so your kids can get a day off school, but their minds will keep going! Are you hoping to give your teen or pre-teen something more stimulating to do than hanging out at the mall all summer? Well, we’ve got you covered for that, too! With our Pre-teen and Teen Summer Camp for kids aged 10-14, from August 2-5 from 1pm to 4pm, we offer your teens a glimpse of what it’s like to work in an art gallery! They will also have the opportunity to lead workshops while learning art techniques and making socially conscious art projects. This camp will keep your pre-teens mind fresh and stimulate thinking outside of the box while encouraging them to share their ideas and skills. It’s the perfect camp to get their minds ready for school in the fall! The RMG also has plenty of weekly art classes this spring for kids of all ages. From P.A. days to homeschoolers, we’ve got everyone covered to kick off the closing of the school year and get kids excited to be creative this summer! For tiny ones aged 2-4, Art Tots is a fun way to break normal routine and engage your kid’s mind in a different kind of creativity! Drop in with your family on Tuesday from now until May 10, 10:30am to 11am. We know young kids like to have fun, but we also know they need enriching activities to keep their brains strong. That’s why Art FUNdamentals for Kids is the perfect art class for your 5-10 year old this spring! From April 2 – May 28, drop your kids off on Saturdays for 10am to 12pm or 1pm to 3pm for a super fun and informative learning experience! Your little Van Gough or Da Vinci will thank you later! If your kids are homeschooled, it’s not always easy to come up with educational and stimulating art projects at home. So why not incorporate the RMG into your homeschool curriculum! Our Homeschool Art Classes run from 10:15am to 11:15am on Tuesdays from now until May 10, and offer a fun way to give your kids the attention of homeschooling while interacting on a creative level at an actual art gallery! How much fun is it to run art class in a gallery? Your kids will be thrilled and your home curriculum will be elevated! So if you’re looking for enriching, educational and super fun spring classes or summer camps, look no further! The RMG is your one stop shop for your artsy kids. Visit Learn & Participate for a full list of art classes and camps, details and pricing, or call us at (905) 576-3000 for more information. Can’t wait to see you all this summer!